Cavities are expensive. Root canals are too. Most restorative dental procedures are costly, not to mention, no fun. That’s why we are so passionate about great oral health. We understand the pain of having to reach for your wallet because we forget to brush our teeth every once-in-a-while too! Here at Middle Creek Dental, we make it our goal to educate our patients on great oral health routines. One of the most overlooked portions of a great oral hygiene routine is the biannual professional cleaning and examination. People tend not to consider cleanings and exams as a normal part of their oral hygiene routine because the treatments are so spread out compared to the daily brushing and flossing routines that they normally do. In reality, professional cleaning and examinations are an integral part of your oral health, helping you to avoid costly restorative procedures and resetting the clock on your bill of oral health. Most appointments start out with a thorough cleaning. We typically start by looking for deposits of plaque or tartar in hard to reach areas of your mouth. What is plaque and tartar? They are words we hear often when talking about oral health but most people don’t fully understand what they are and what the consequences of buildup is, other than “bad for our mouth”. When we talk about dental plaque we are referring to a buildup of bacteria within the mouth. Usually you can feel this buildup as a mossy feeling film that coats the surface of your teeth after a long day or a particularly sugary snack. These bacteria feed on the leftovers of your meals, and can be washed away with a light brushing and flossing. When the plaque buildup is not removed either because of lack of oral hygiene or maybe because there are some spots that are hard to hit with your brushing and flossing, it can turn into tartar. Tartar is a hard substance that can’t be removed by brushing and flossing. Tartar buildup can seriously affect your oral health, which is why we work so hard to remove it from your teeth. Dental examinations start with an X-ray of your mouth. Using this we can see between teeth and places that aren’t easy to see with the naked eye. Often, we are able to catch cavities while they are still in the early, preventable stages. When we do, we can alert you to their presence and with careful consideration and a lot of attention often patients are able to prevent them. 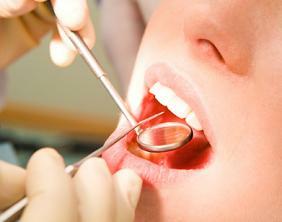 We will also check your mouth for signs of common oral issues. If you have noticed any changes in your mouth over that last few months, the examination is a perfect time to bring them up. Any condition or irritation lasting more than a week should be noted. We finish the cleaning by flossing all of your teeth thoroughly and allowing you to rinse out your mouth with water. So don’t forget to schedule your regular cleaning and exam every six months. Call our office today at (208) 505-9975 to make your appointment.